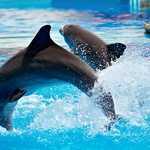 Watch a fun-filled dolphin and seal pool show at the Dubai Dolphinarium. Armed with your ticket, head inside the auditorium and settle in around the indoor pool for a family-friendly show to remember. 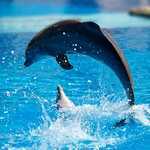 Then, watch spellbound as beautiful bottlenose dolphins and fur seals display their incredible aquatic skills in the pool, performing games and other antics. If you wish, make the most of the photo opportunities at the end of the performance. For the best possible views, upgrade to see the show from a VIP seat. Make your own way to Dubai Dolphinarium in time for the start of the morning performance. Show your ticket at the entrance, and settle into the auditorium around the large, indoor dolphin pool. If you’ve upgraded to a VIP seat, relax into your seat and relish the grandstand views of the pool. 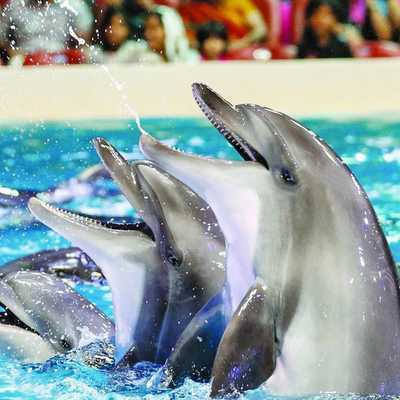 Feel the anticipation build as the show time nears, and then enjoy the spectacle as a troupe of gorgeous bottlenose dolphins and fur seals take to the water and are guided by an expert trainer. Be dazzled by the speed and aquatic agility of the graceful sea animals, and admire their acrobatics as they perform different tricks and play games. 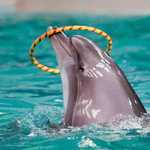 Learn about their innate intelligence from the commentary, and discover interesting facts about their diet and natural behaviour. As the show comes to an end, perhaps take the opportunity to get up-close to some of the dolphins for some very special photos. Bookings can be made through our website and prices include premium passes for the show. The online payment system is available for your convenience and activities are suitable for all ages. Cancellation charges are applicable and seating is based on availability. Due to technical reasons, we reserve the right to cancel / postpone programs without notice and the tickets will be valid for other programs based on availability. Should this occur, we would contact you either by phone, e-mail or letter with the contact details. 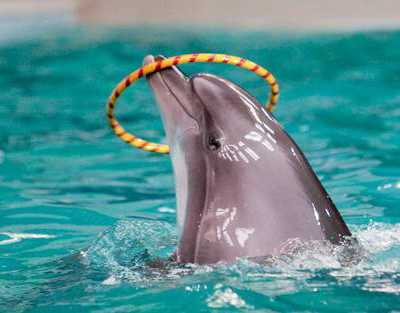 Dubai Dolphinarium rules apply for any incidents during the show.